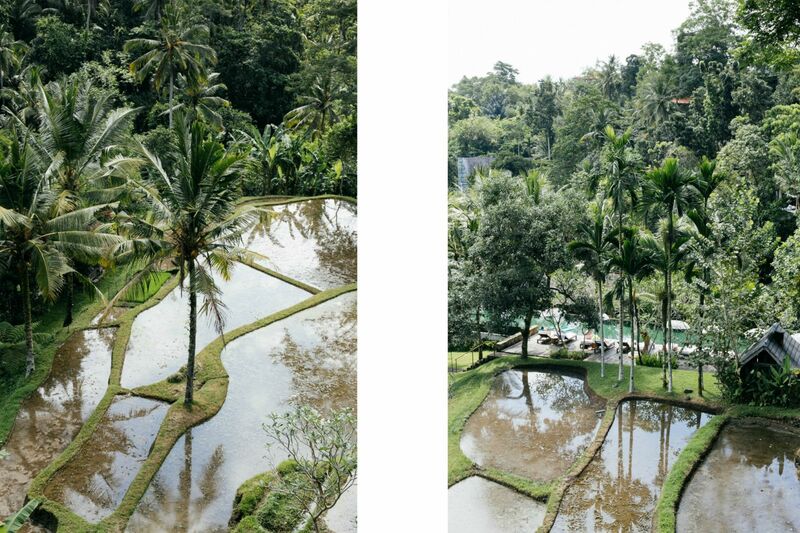 The journey started from Jimbaran and the second place I have visited was Ubud. 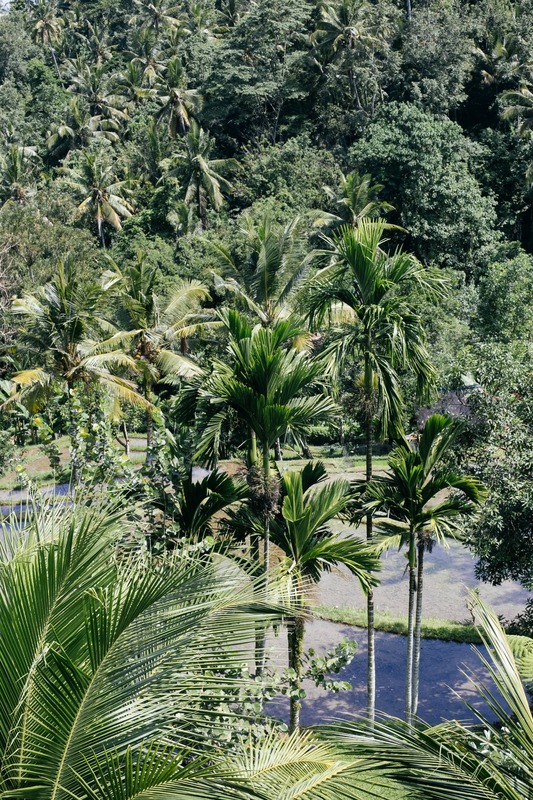 One of the most popular places outside of the touristy beach areas, Ubud is considered to be the cultural heart of the island. 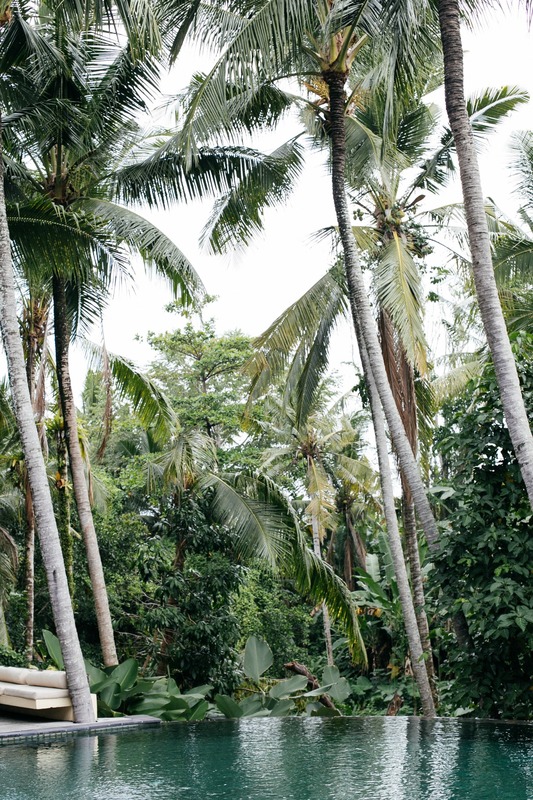 Before I went to Bali I read a lot about Ubud, but the moment I have arrived there – a joyful, emotional, spiritual and full-of-goosebump-feelings happened to me. Something that I cannot really describe in words but just feel! 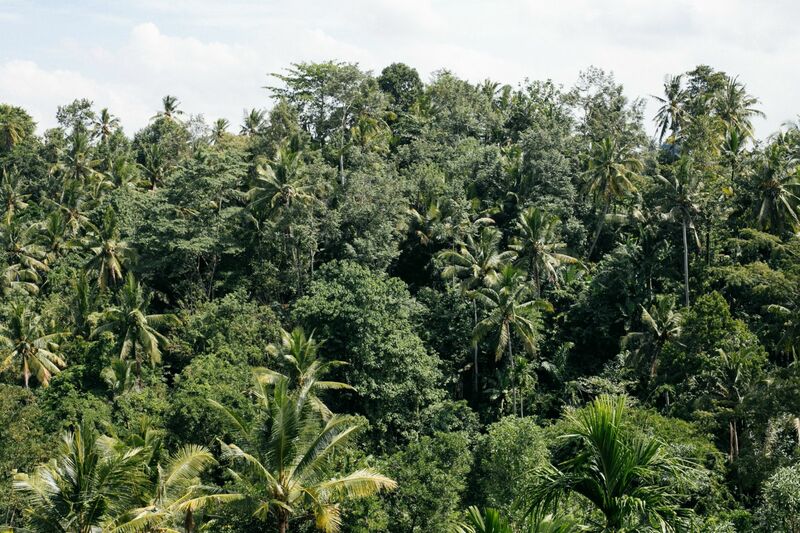 No place in the world could be greener than Ubud. 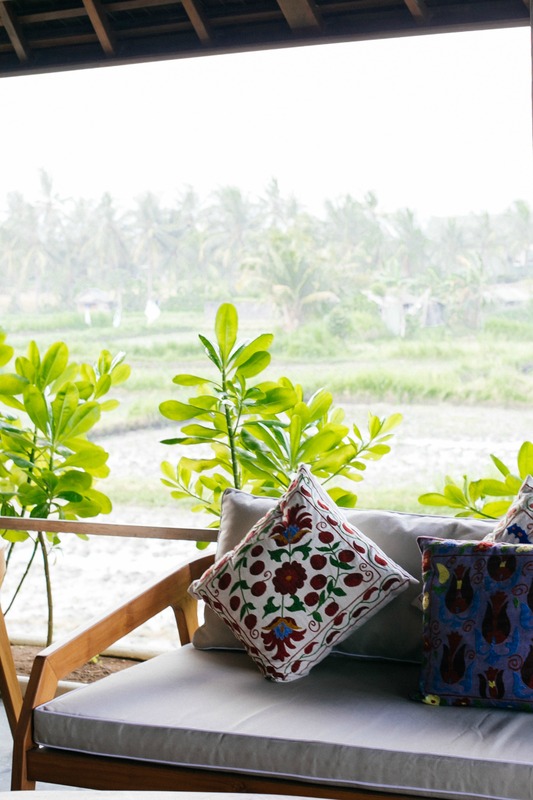 Everything here is green: the young rice fields glow in a outstanding shade of emerald; the thick curtains of the leaves appear greener and greener upon ginger and hibiscus flowers. Things that began another color like brick walls or pebble walkways, they become green with shaggy moss. 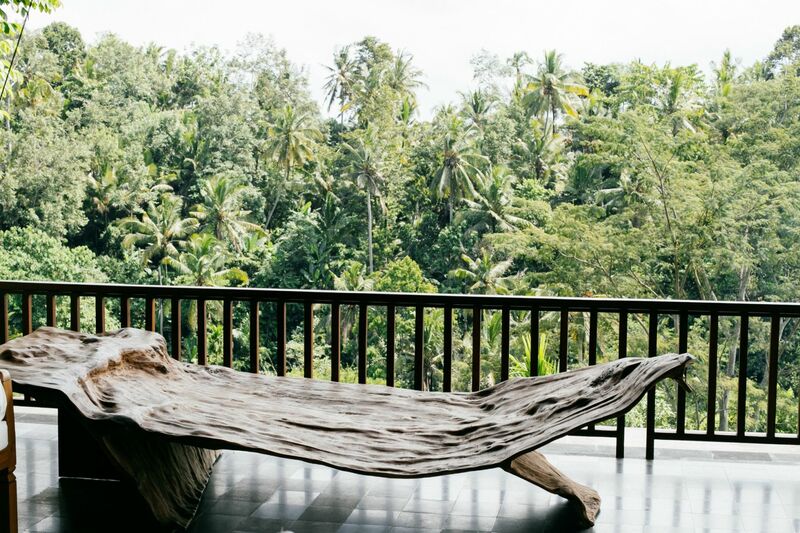 The Balinese have long called their island “the morning of the world.” It’s an extravagant phrase, but that morning I had when I woke up at Komaneka at Bisma was what they were talking about. 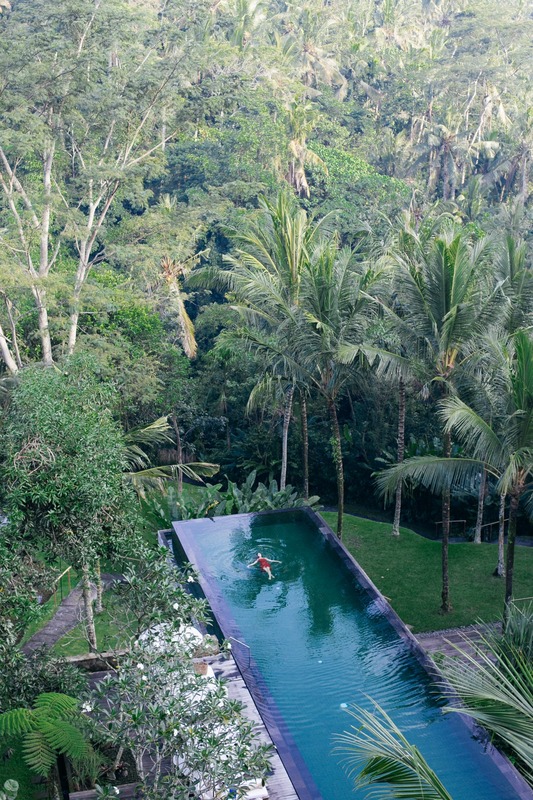 Our first stay in Ubud was at the high-end luxury boutique hotel Komaneka at Bisma. 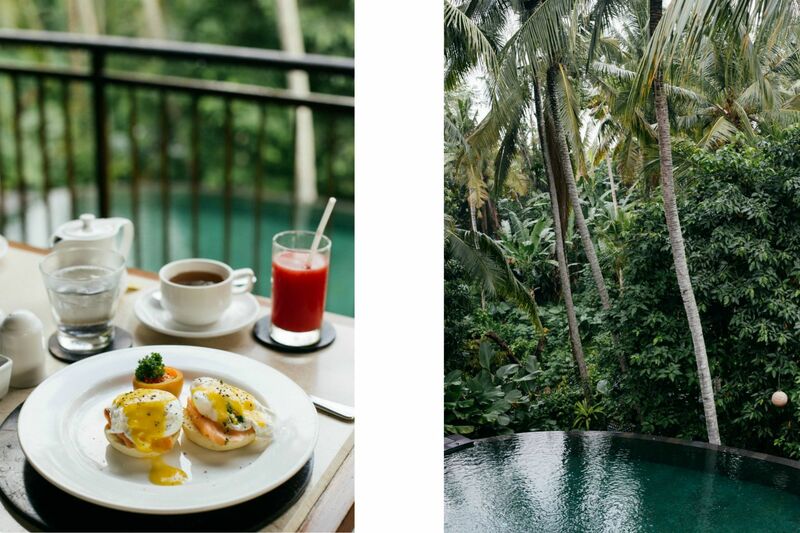 This outstanding boutique hotel offers a variety of facilities and services, and provides all you need for a wonderful stay in the middle of Ubud’s jungle. 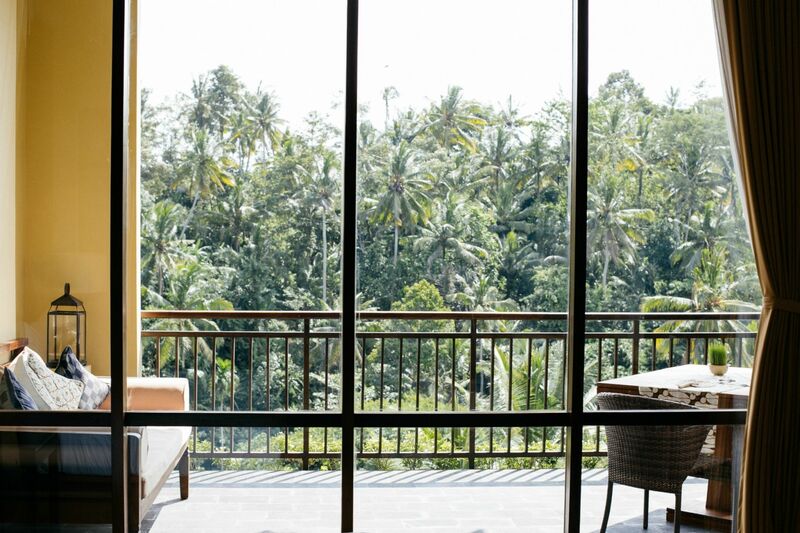 It has a grand spaces, luxurious interiors, and a heart-lifting panorama over a valley of tropical rain forest – all just a 10-minute walk from Ubud’s Main Street. The resort’s iconic 33-meter lap pool is the jewel of this beautiful five-hectare resort. 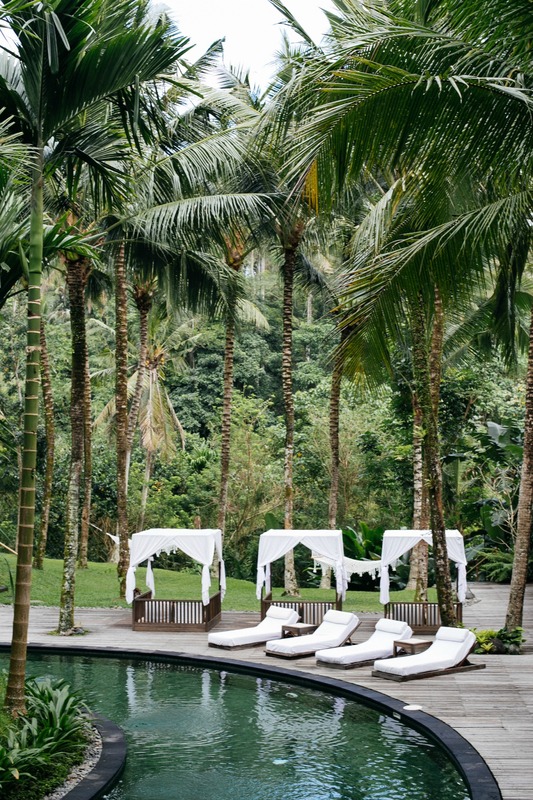 Nestled in the tropical gardens of the resort’s own rice fields, the Wanasmara non-denominational wedding chapel, a Spa Villa with adjacent semi-circular leisure pool, and a jogging path. Our suite had a large balcony and beautifully appointed living space. 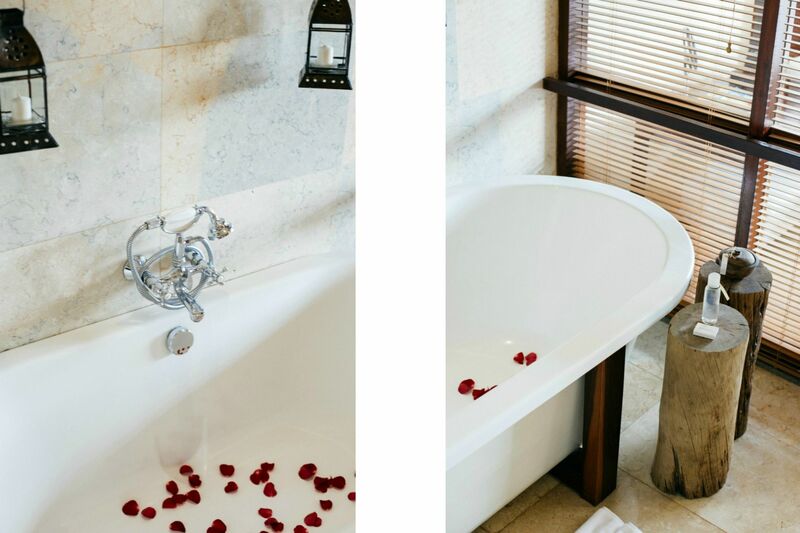 There are also romantic one-bedroom Pool Suites with 8-meter lap pools, which are perfect for a secluded honeymoon. As well as the two-bedroom Pool Suites are ideal for families or small groups. 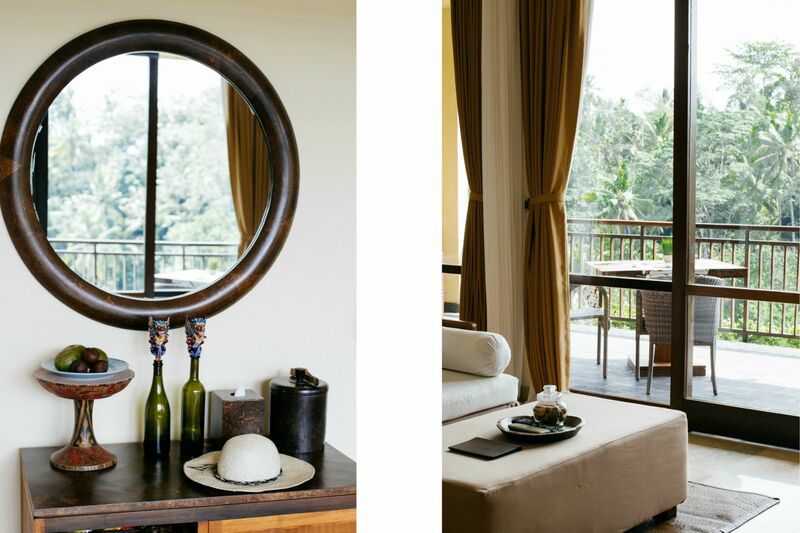 At the northern end of the property, there is a charming very private 3-bedroom Bisma Residence, with three free-standing pavilions with glass walls with a wonderful view to the forest. After Komaneka at Bisma, we had the opportunity to stay at Komaneka’s other property at Rasa Sayang Ubud Hotel. 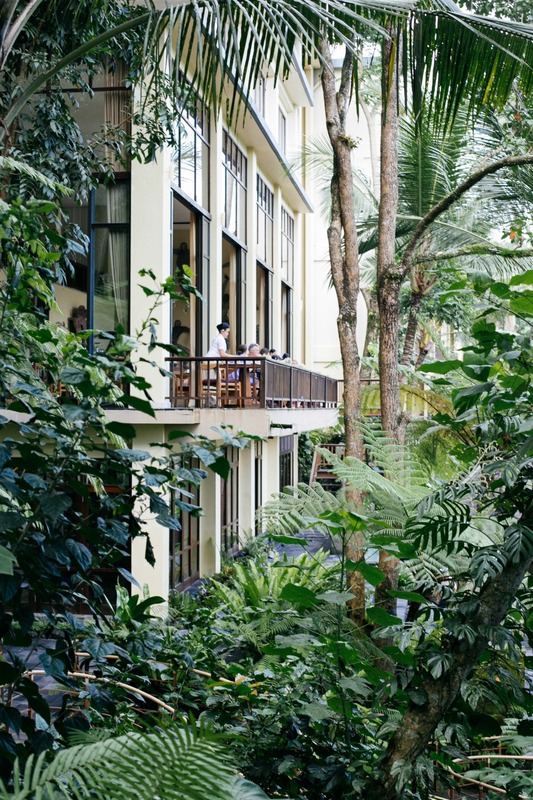 It’s a chic boutique hotel at Ubud’s most famous Monkey Forest Road. 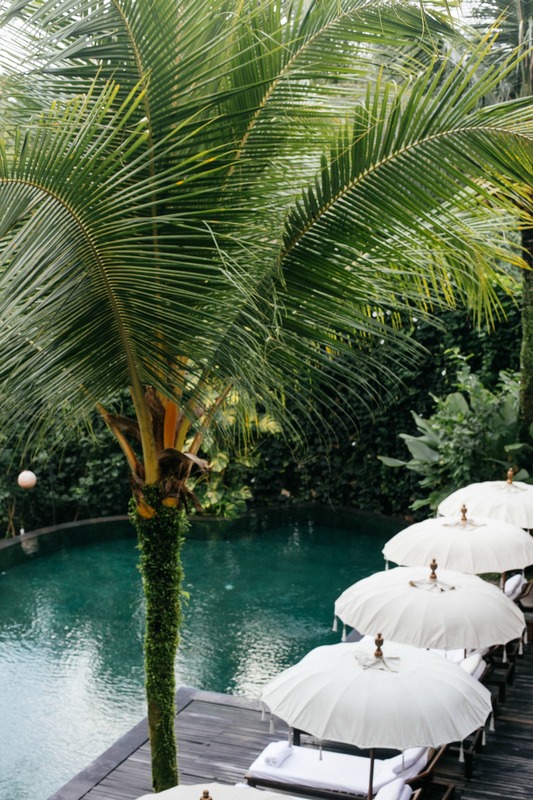 It’s perfectly located for both business and leisure guests in Bali, who want to be in the central to Ubud’s cafes, bars, restaurants and boutiques. 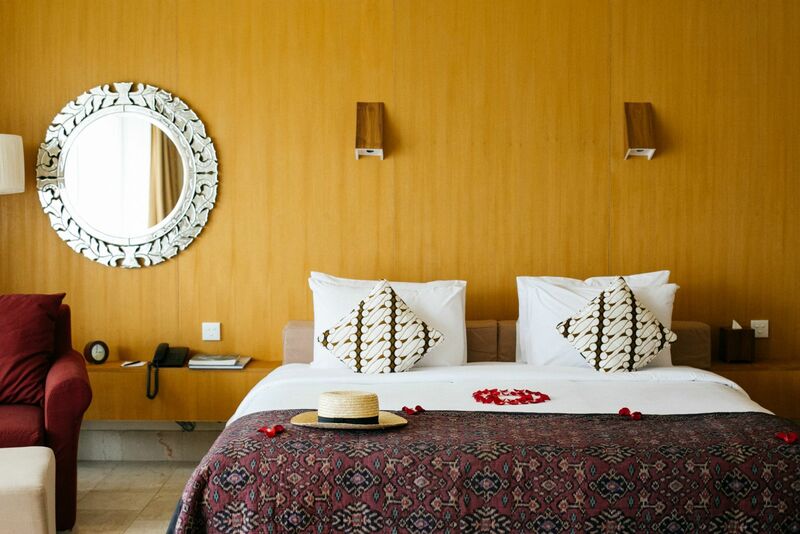 The Deluxe rooms have sleek, first-class interiors with generous living space and broad balconies facing urban gardens. 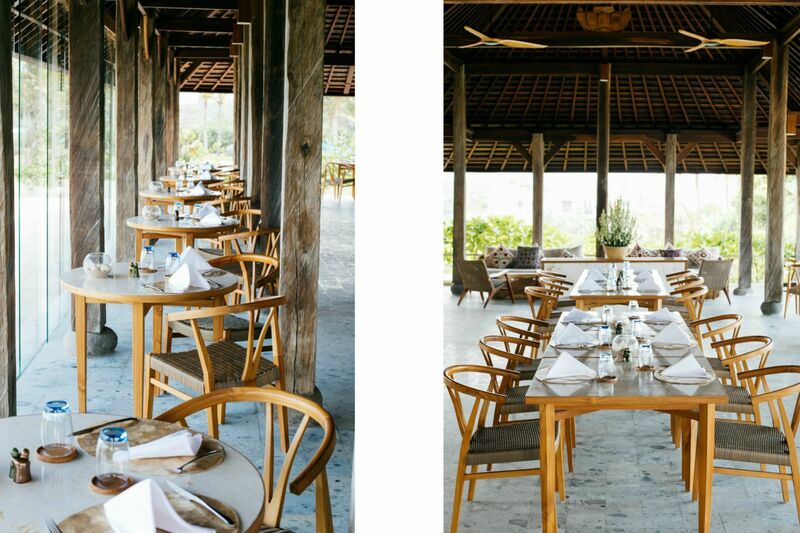 Their restaurant has an open-air dining pavilion with Balinese and Mediterranean cuisine. 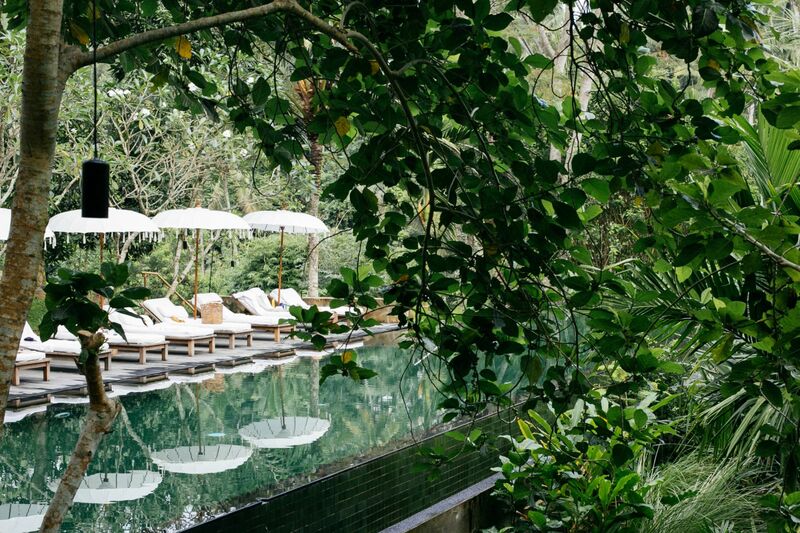 A sheltered infinity pool overlooks like a quiet river valley. 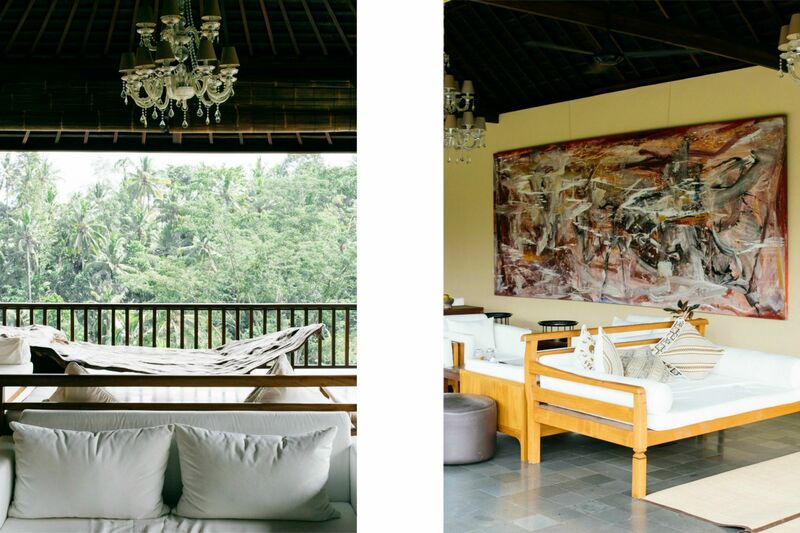 I loved the Akar Wangi Spa for their signature traditional Balinese treatments. 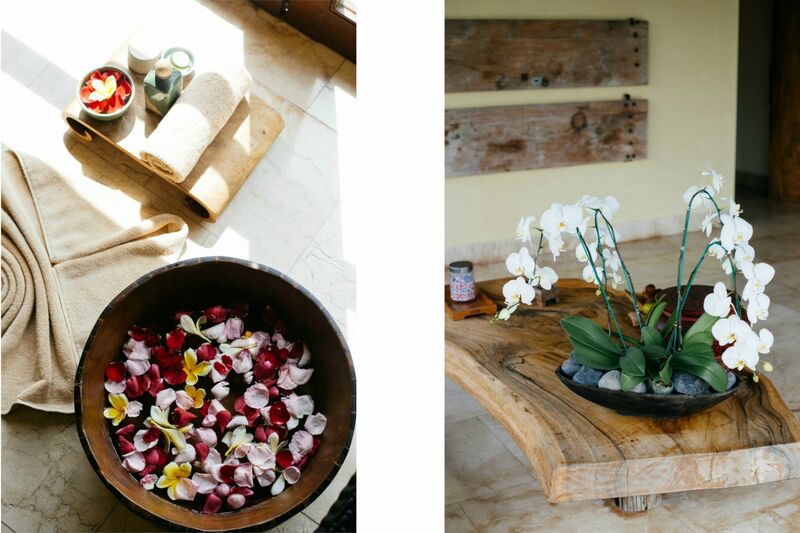 The traditional massage with body scrub, drawing on ancient Indonesian herbal recipes, was just like heaven. The Akar Wangi Spa is not only limited for the in-house guests, but it’s also open to anyone who seeks for solitude, ample space and complete privacy to relax and enjoy the rejuvenating treatments. 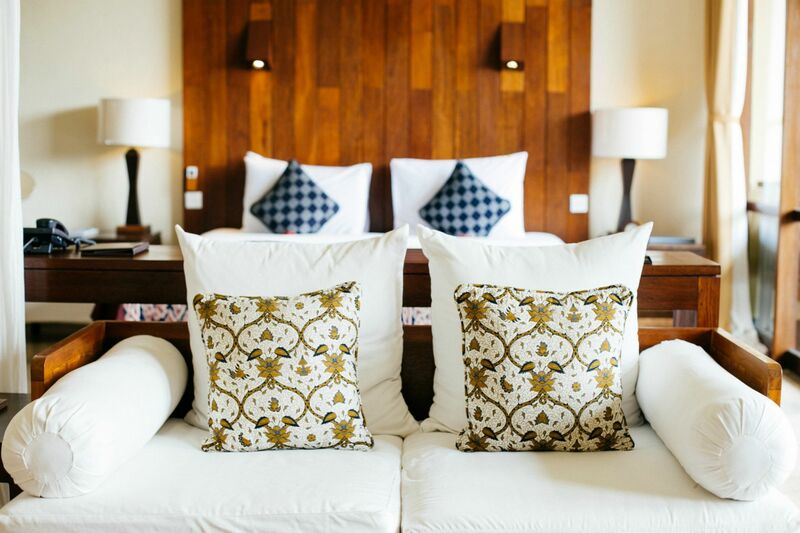 Overall a great boutique hotel for adventurers who like a bit of elegance and comfort in Ubud. Last but not least, we have also visited the Komaneka’s newest property at Kerama’s Beach. 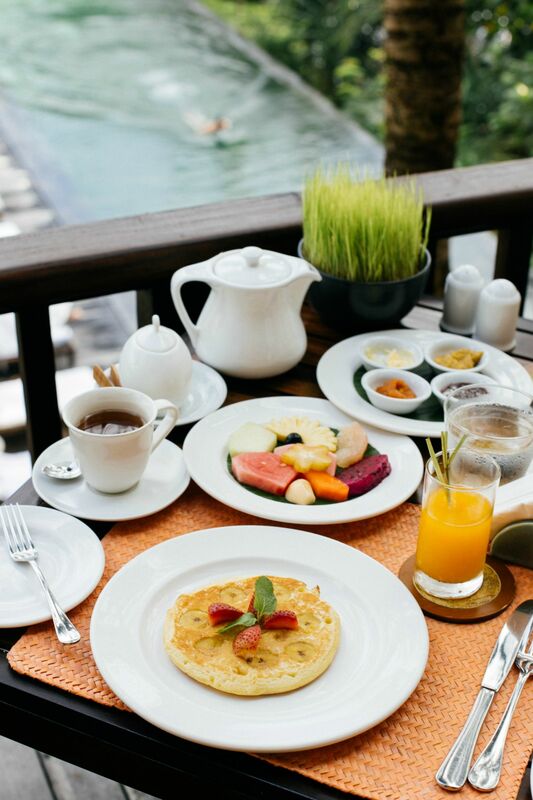 It was a delightful culinary experience at the Timur Kitchen restaurant, prepared with the finest fresh ingredients, some from the resort’s own rice fields and organic gardens. 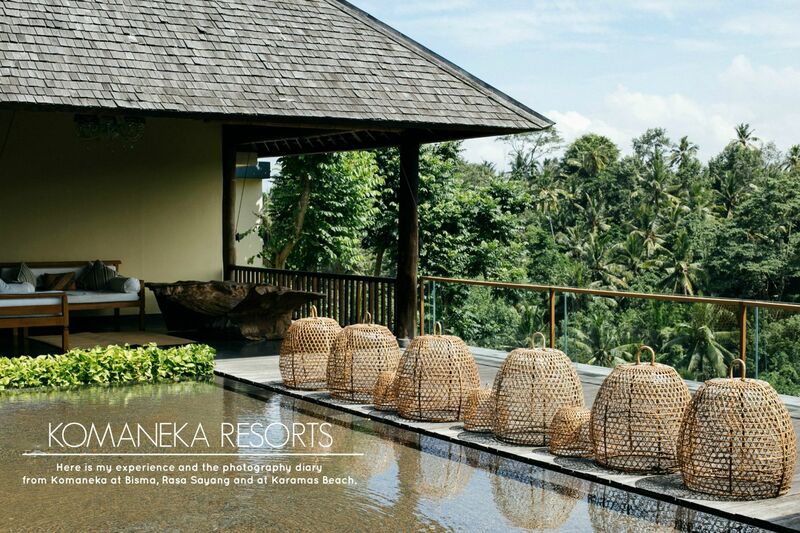 The newest in the collection of Komaneka Resorts boutique hotels, Komaneka at Keramas Beach is designed in a contemporary style inspired by Balinese architecture, with fine woods and luxurious interiors. There is a generous use of space throughout the resort, a beachside swimming pool, spa, and fitness center. 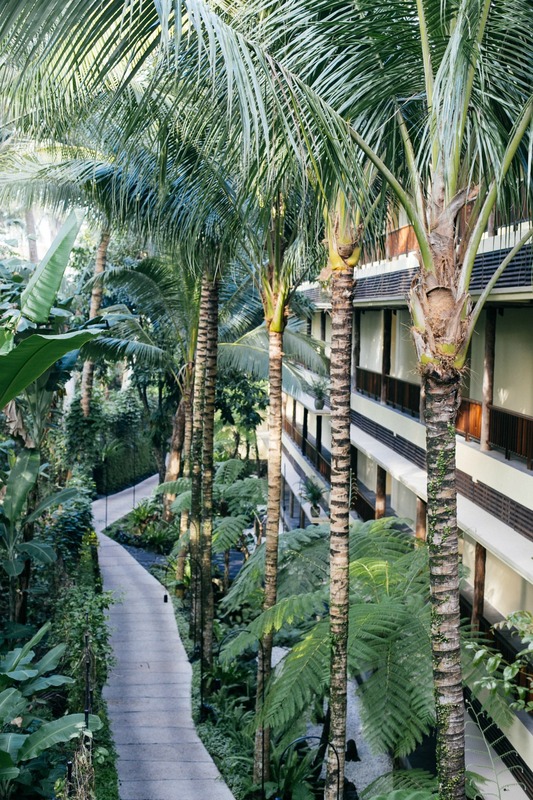 The resort is located in the village of Keramas, a 30-minute drive from Ubud, 15 minutes from Sanur, and 55 minutes from Ngurah Rai International Airport. 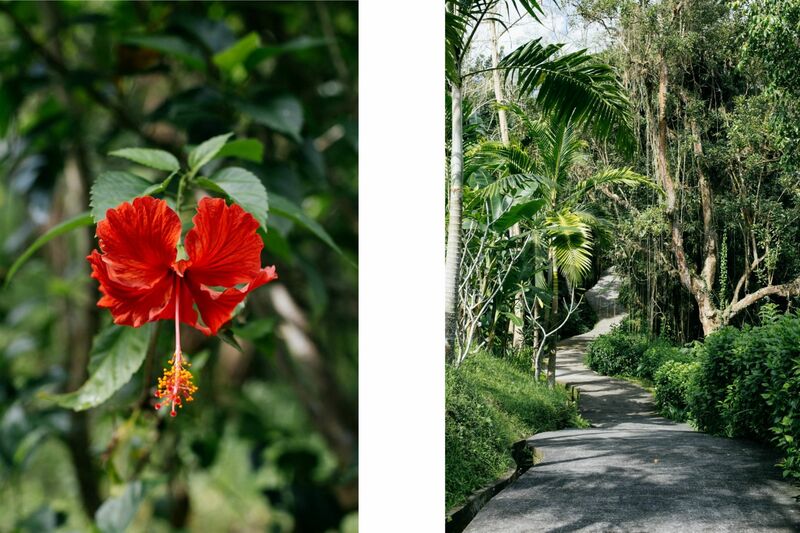 Scroll down and enjoy all pictures taken at Komaneka Resorts! Stunning view from the Komaneka at Bisma’s lobby lounge. 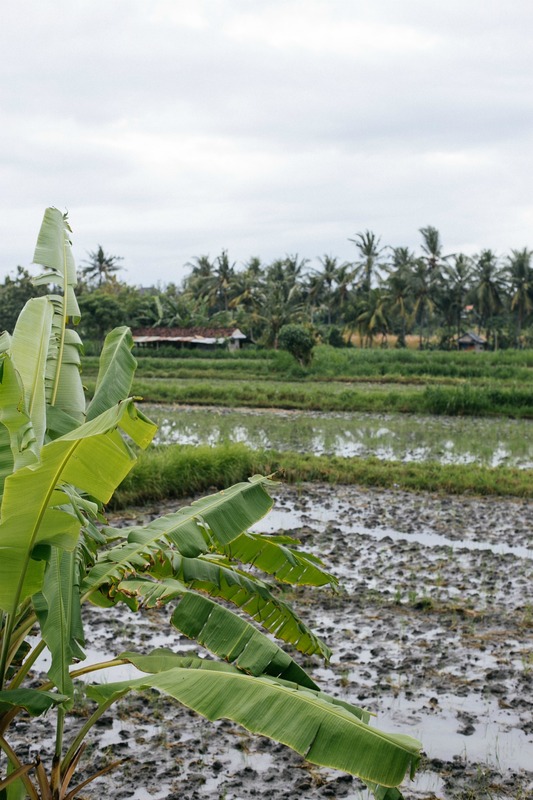 The tropical gardens of the resort’s own rice fields. Our suite had a large balcony and beautifully appointed living space. Falling asleep and waking up to this view was one of the most unforgettable moments I had at Komaneka at Bisma. 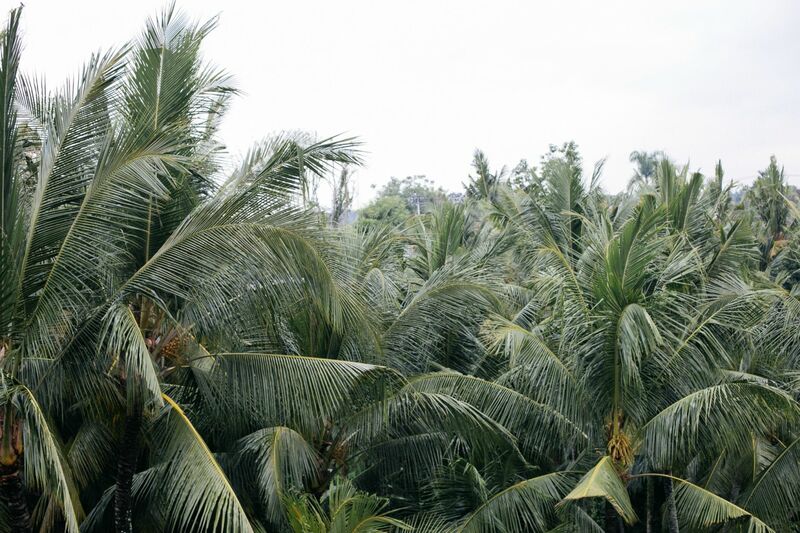 Our balcony had a stunning view surrounded by the tropical trees and the ethereal sounds of the jungle. The resort’s iconic 33-meter lap pool is the jewel of this beautiful five-hectare resort. Our other suite at Komaneka’s other property at Rasa Sayang Ubud Hotel. 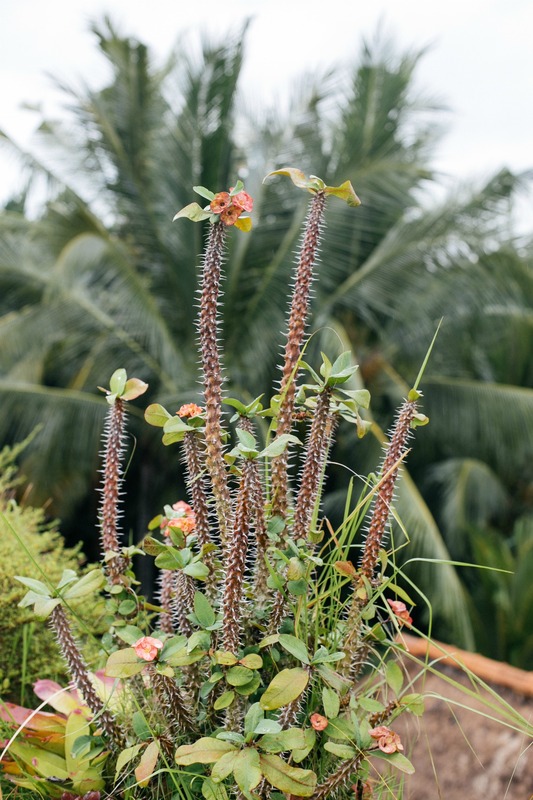 Akar Wangi Spa is named for the sweet-smelling roots of the akar wangi plant, an ingredient used in offerings and traditional Balinese beauty treatments. 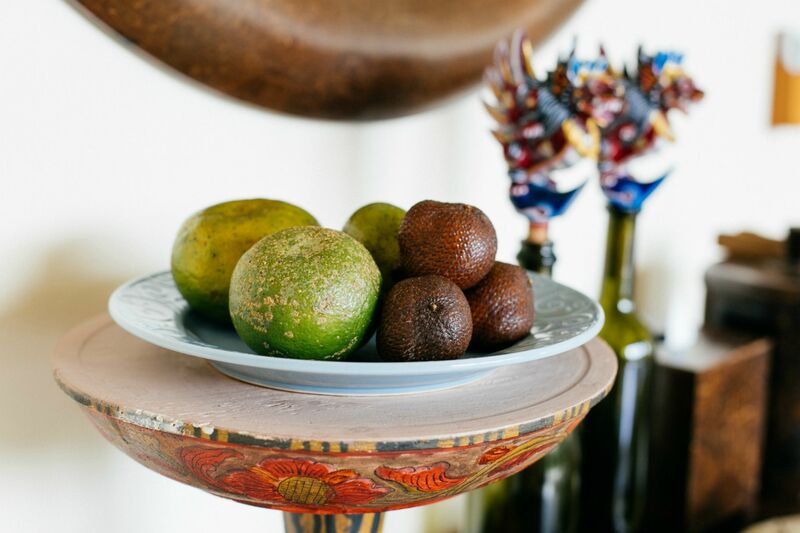 Akar means ‘root’ and wangi means ‘fragrant’, also a reference to the heady scent of spices used in the spa treatments. 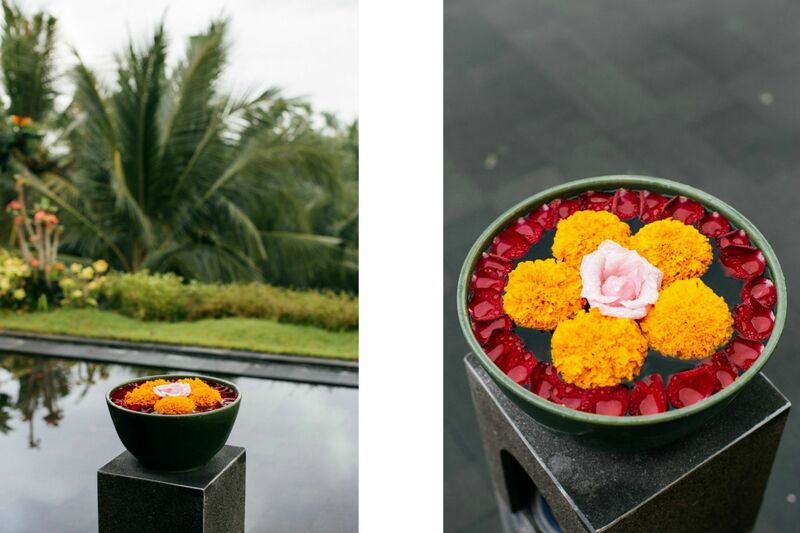 The spa is located on the top floor of Komaneka at Rasa Sayang, with a Zen-like terrace and reflecting pool gracing its outer courtyard. 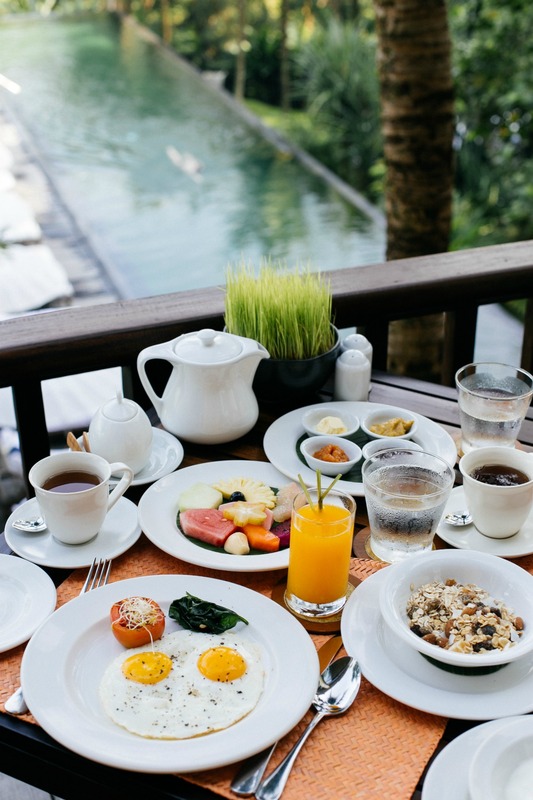 Madu Manis Kitchen at Komaneka Rasa Sayang is a cool and spacious terrace overlooking the pool and lush tropical vegetation. The menu features Mediterranean cuisine. 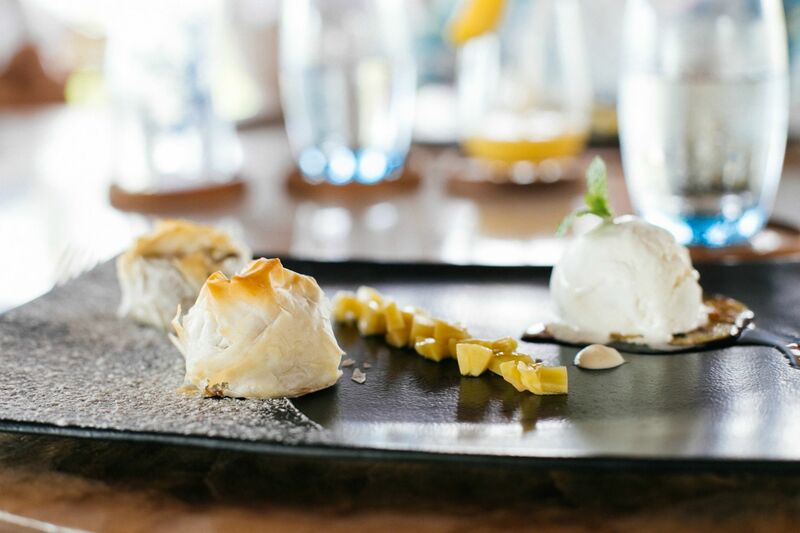 Overlooking the beach on the eastern side of Komaneka at Keramas, is the restaurant Timur Kitchen. (Timur means ‘east’ in Indonesian.) 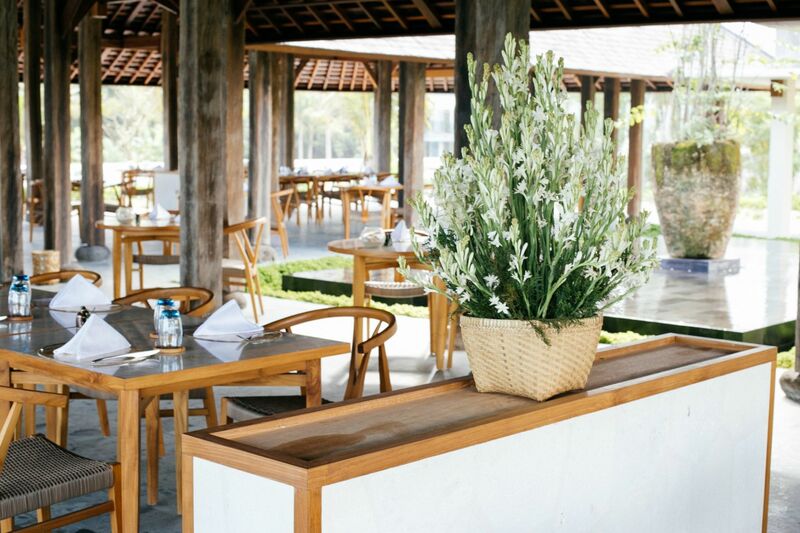 The sophisticated contemporary design of this open-air restaurant is rich with wood sculpture and intricate details inspired by the old era of the royal Balinese kingdoms, as well as a water fountain and pond as a symbol of prosperity and luck. 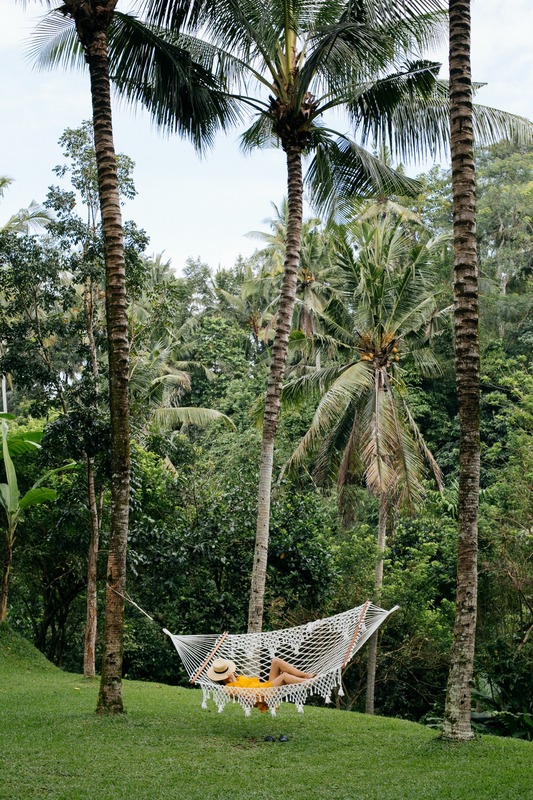 The stunning location gives a spectacular 360-degree view overlooking the Indian Ocean, the neighboring island (Nusa Penida), Bali’s highest volcano Mount Agung, and the Komaneka at Keramas own rice fields. 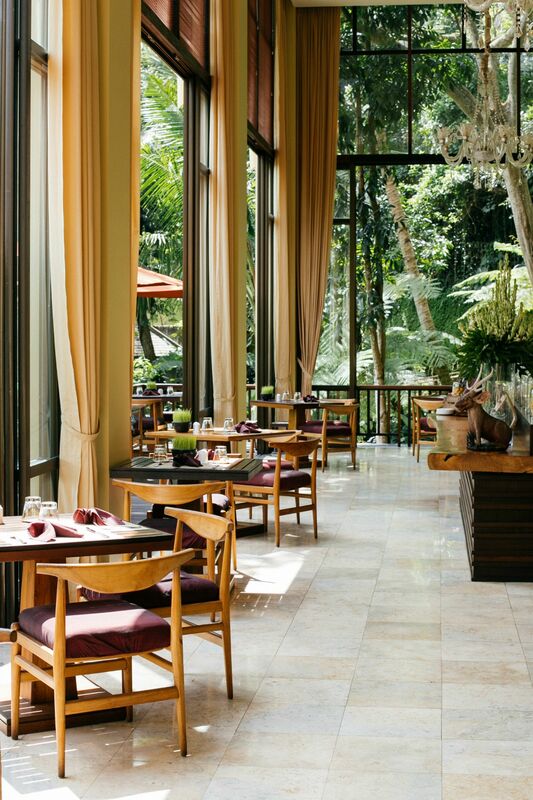 Timur Kitchen serves rich Indonesian cuisine and savory international dishes incorporating the finest fresh local ingredients, perfectly prepared by Komaneka’s Executive Chef. 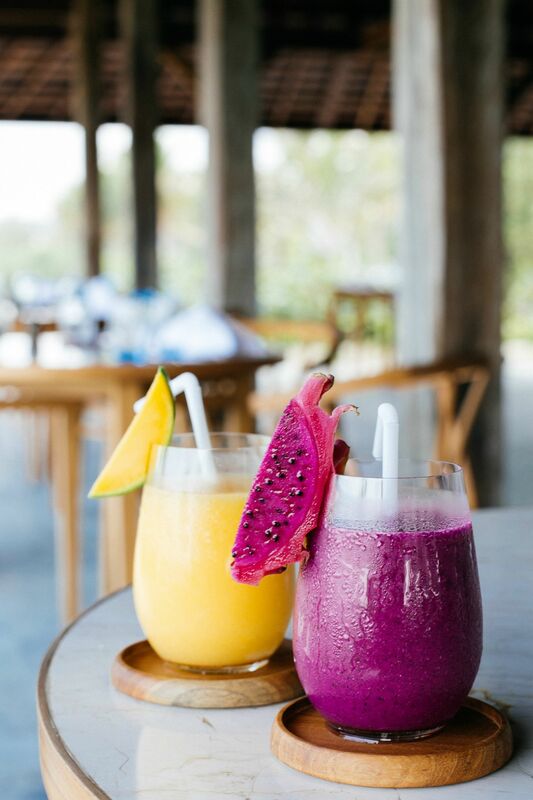 Delicious homemade smoothies with fresh and organic tropical fruits. 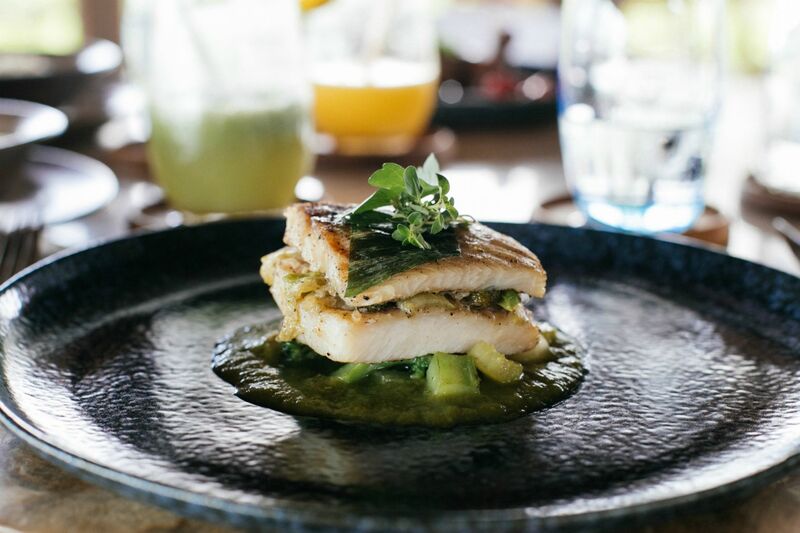 A rich menu of an all-natural ingredients and healthy concept a la Komaneka Resorts, all the local food is served has a high class standard. Mind-blowing desserts for an endless summer feeling. 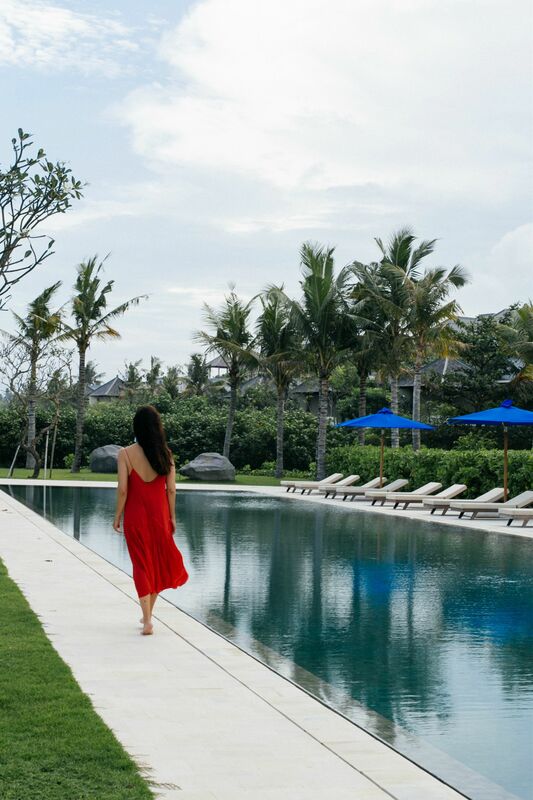 Overlooking to a spectacular 360-degree view to the Indian Ocean, Komaneka at Keramas Beach is indigenously created for an authentic experience of Bali. 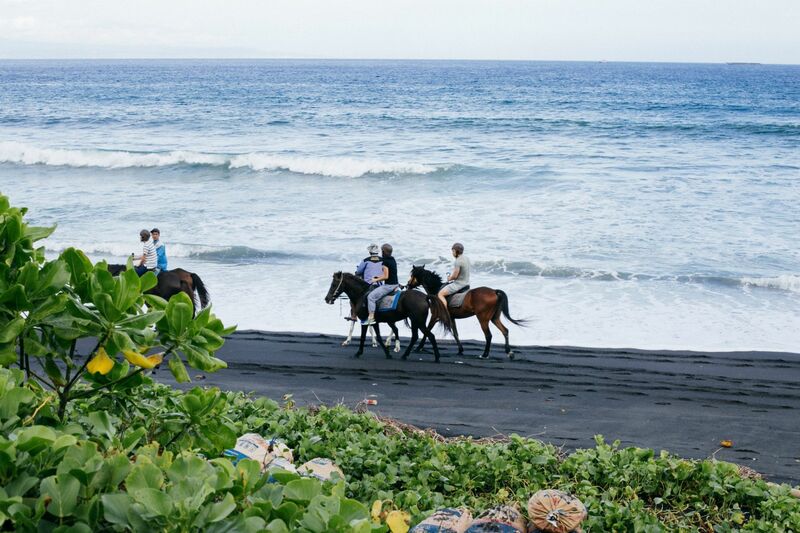 The newest in the collection of Komaneka Resorts boutique hotels, Komaneka at Keramas Beach has a stunning 4-hectares landscape, coming right to the edge of a beautiful black-sand beach. 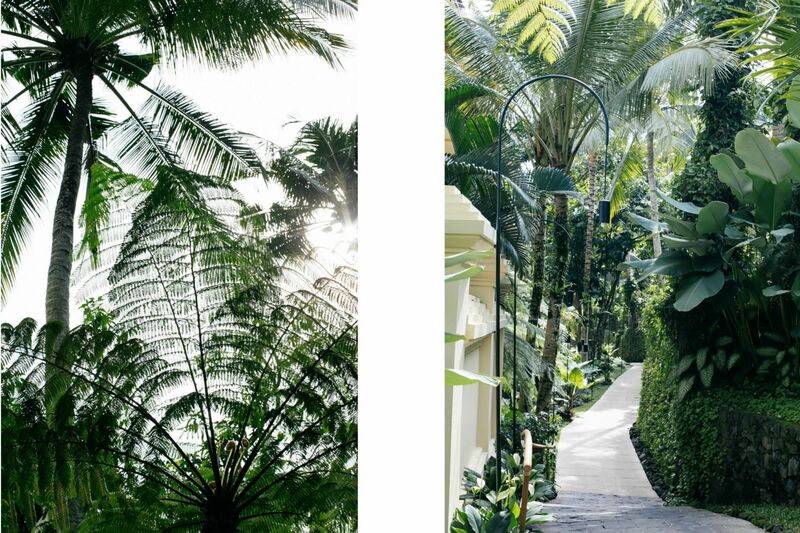 Visiting Bali is my dream! I fell in love with the location, your photos and the atmosphere!